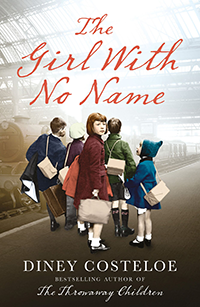 Thirteen-year-old Lisa has escaped from Nazi Germany on the Kindertransport. She arrives in London unable to speak a word of English, her few belongings crammed into a small suitcase. Among them is one precious photograph of the family she has left behind. Lonely and homesick, Lisa is adopted by a childless couple. But when the Blitz blows her new home apart, she wakes up in hospital with no memory of who she is or where she came from. The authorities give her a new name and despatch her to a children's home. With the war raging around her, what will become of Lisa now?